Growing up, I was often reminded to never forget where I came from. I was told to always remember the people who helped you reach your goals. It was emphasized to always give back to those who come after you. These ideas reflect the values and beliefs of my culture: the Filipino creed. These set of ideals have served as an anchor in my life, and have been a compass, guiding me as I go through life. As important as service and a community-oriented focus are in our culture, another aspect we often emphasize is stability. My parents wanted a better life for my brother and I, so that we would never have to experience similar hardship. The happy medium that meets the above requirements in a Filipino household will usually be a career in STEM (science, technology, engineering, and mathematics), medicine, finance, or law. Initially, I was drawn to medicine, as many in my family were in the profession and I had a genuine passion for serving the community. It was a dream of mine to become a doctor and to help improve people’s health outcomes. As life progressed, I realized my passions were elsewhere, but had still wanted to stay rooted in helping out my community. It was in my undergraduate years that I had become drawn to public service. I had always been drawn to government and politics, as I was incredibly passionate about history and civics courses. I was always drawn to examining how our societies have developed and the institutions that have been erected to address the issues of our time. 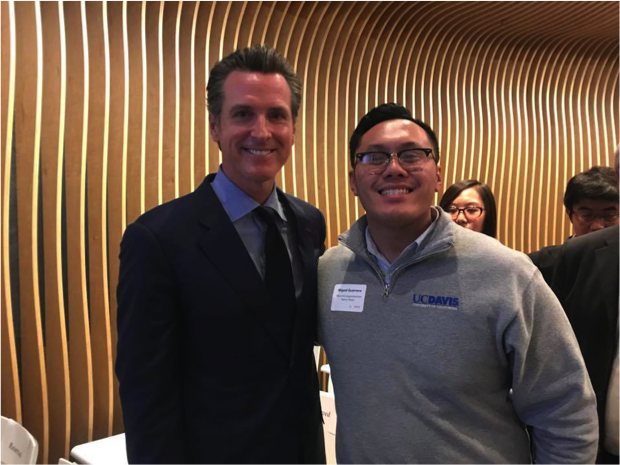 My first exposure to government was an internship in the California State Capitol working for Lieutenant Governor Gavin Newsom. I primarily answered phone calls and redirected constituents to the various state agencies that dealt with different issues. It was here that I learned the value of working in public service: advocating and helping people navigate the government and its services. I was compelled to continue along this path, to serve and represent the people who needed our assistance. I had continued internships in other offices where I had learned the other aspects of government and the political landscape, from press offices to policy analysis. Upon graduation from UC Davis, I knew that I wanted to continue in public service. Many aspire to be at the center of action on a national scale: Washington, D.C. However, the echoes of my upbringing had called me home to San Francisco. I had wanted to give back to a city that has given me so much, and work in its trenches alongside different communities on issues they were passionate about. Upon returning home, I spent time as an intern for the 43rd Mayor of San Francisco, the late Ed Lee, working once more in constituent services and helping residents navigate the departments of the city. I also had gotten to work alongside those departments to help resolve issues that our constituents were experiencing. I was able to see city government at work, and be a part of its function. Taking a break from politics, I worked with disadvantaged students from around the Bay Area at the Treasure Island Job Corps Center, which provides trade-based and vocational education to its students and supports them in their search for employment upon completion of their program. My work here ignited a passion for the labor economy and its intersection with education. I had seen the value of a trade school education, and how that can coexist with higher education. I was able to work with various community partners that wanted to see our students succeed and provide them avenues in which to pursue their careers. Through collaboration and finding common ground, we were able to create opportunities for a group of youth who were hungry to find them. 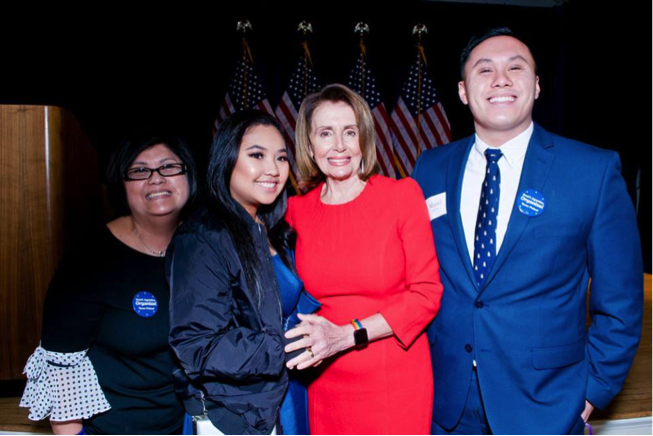 Through one of these partnerships was an opportunity to make a leap into a new arena to continue the work I was passionate about: the office of Congresswoman and House Democratic Leader Nancy Pelosi. In my capacity, I represent the Congresswoman and attend events in her district, San Francisco, and get the insight of our communities on local, state, and national policy issues. Additionally, I assist our constituents in navigating the federal government in their issues with the agencies. As a result of my experiences working in different levels of government, I have been blessed with the privilege to work for someone who had a similar start in politics. Back in Baltimore, Maryland, a young Nancy D’Alessandro helped her father, Thomas D’Alessandro, during his tenure as Mayor of Baltimore, helping his constituents in addressing their issues. Working on a district level, I get to see San Francisco’s response to the issues that affect our communities at all levels, and collaborate with the movers and shakers in the city that I call home. I believe that local and state governments are the engines of innovation in policy making. They are driven by the minds of those who put their communities first and let that drive their ideas. 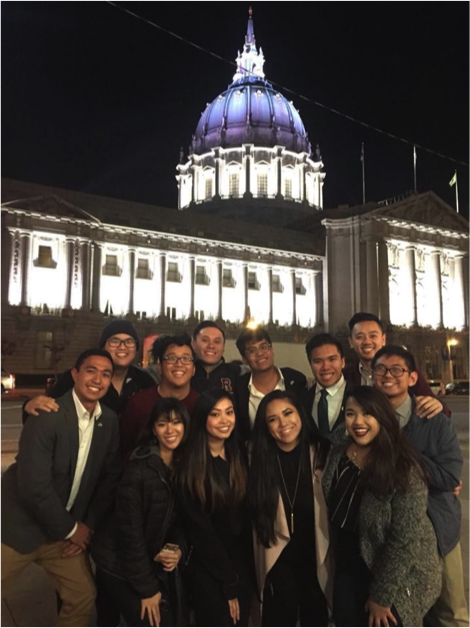 San Francisco has also played a significant role in Filipino-American history and activism, and still boasts a high concentration of Filipino-Americans. The community has stood firm in advocacy, from rallying around the International Hotel to fighting for the Veteranos’ (Filipino WWII Veterans) equity. 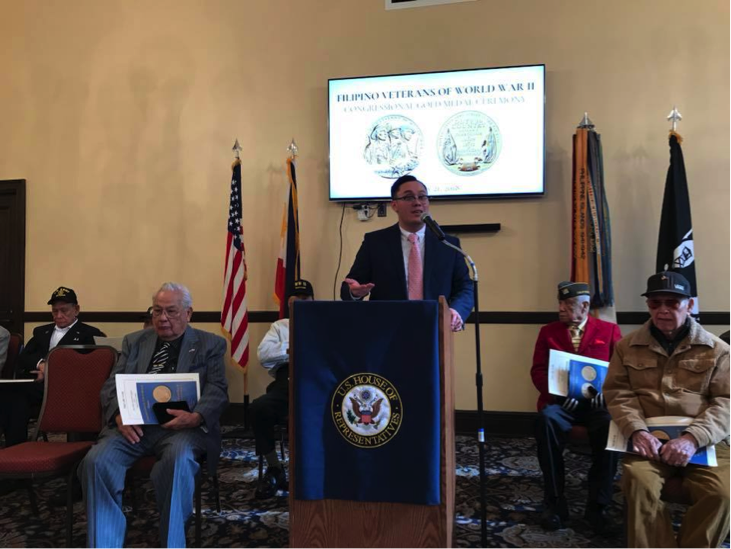 In my role, I was able to put on a reception and ceremony, commending the Veteranos that resided in our congressional district. In conjunction with the Veterans’ Equity Center, we were able to provide replicas of the Congressional Gold Medal and award it to them and their families. Creating events for the benefit of a community is what makes me proud to be a public servant. It is my hope that more Filipino-Americans consider a life in public service. Those of my generation possess a genuine desire to serve. Our upbringings have endowed us with the values of compassion and reciprocity. We possess an indomitable spirit of resilience that has brought us through victory and hardship. It is in our love of family that influences us to help others meet their needs. Through the Empowering Pilipino Youth through Collaboration (EPYC) program, I have been able to meet some of those passionate individuals who want to make a difference in their communities. By providing visibility for the Filipino-American community, I strive to uplift others into this space and mentor the next generation of leaders. I aspire to be a representative and advocate, to not only assist those in need, but to also empower others to create the improvements and changes we want to see. It is my desire to give back, and to work so that those who come after me will have clearer and better avenues to make their lives greater. It takes a village to raise a man, and it is my prayer that I will be able to help raise it up even higher.